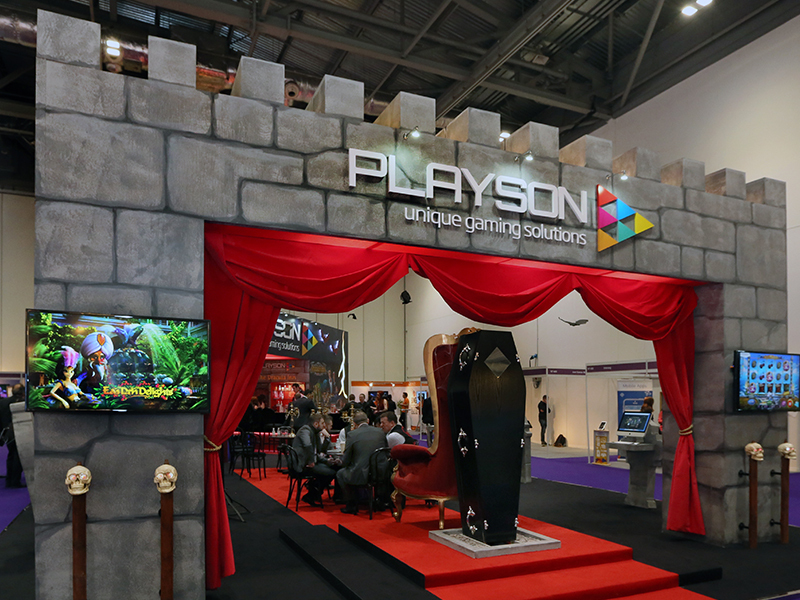 Our third successive stand development for Playson, this time for ICE Totally Gaming 2015 (where we happened to be building a stand design for ECommPay too). 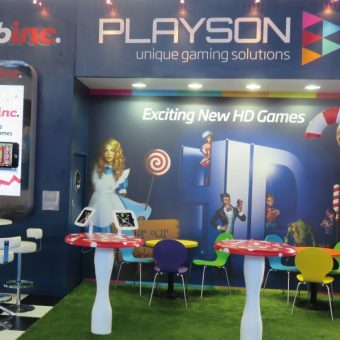 ICE is one of the gaming industry’s biggest trade events, featuring exhibitors from online and offline companies across the globe. 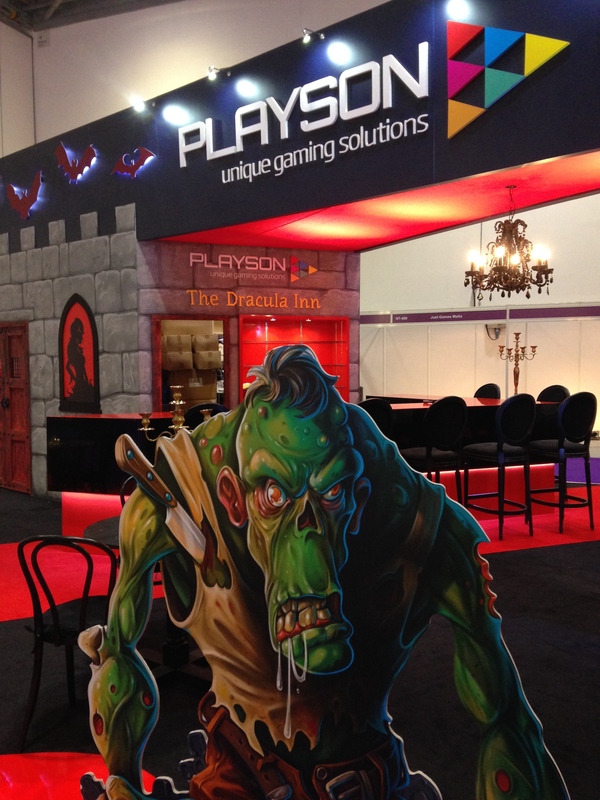 Playson had booked 175m² of floor space, and given us the brief of building a stand that was solely dedicated to their then up-and-coming online slot machine, Dracula’s Family – a game that we had previously created teaser graphics and strobe lightning bolts to promote at Berlin’s Excellence in iGaming event. 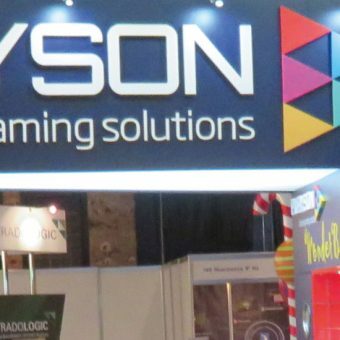 With a view to keeping costs down for Playson, as well as our continued efforts to be green, we reused as many of the elements featured in their previous exhibition stands as we could. 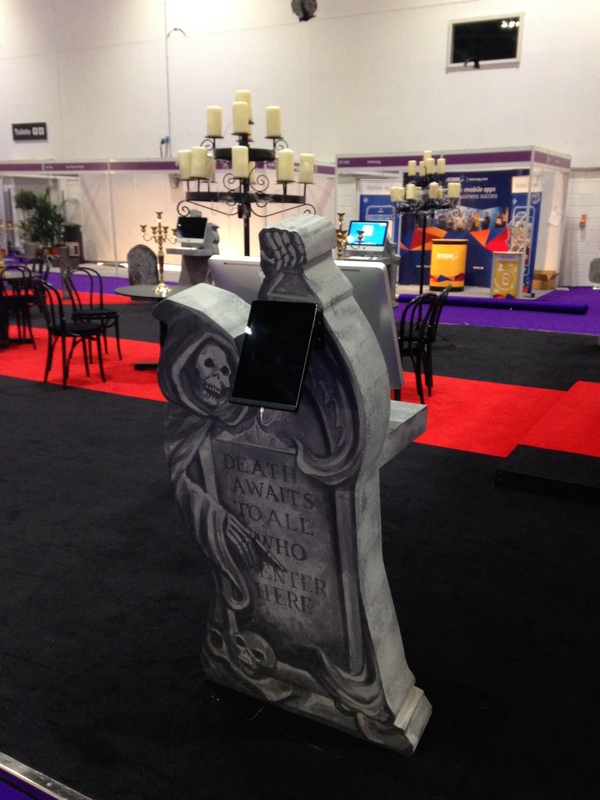 Luckily, we were able to reuse 95% of the stand’s furniture, though the Alice in Wonderland theme of the previous stand had to be stripped away to make way for the darker, Halloween-tinged aesthetic of Dracula’s Family, ultimately turning the entire stand into Dracula’s castle. In order for us to keep the established structure of the previous stands while still making the castle look as authentic as possible, we decided to use theatrical scenic painting to paint the castle’s brickwork directly onto the stand, as well as the stand’s entrance archway and the six separate gravestone demo stations. The painted scenery featured a monster in a blood lake, bats flying overhead and skulls pitched on spikes, and the stand’s main talking point came in the form of a coffin rigged with a pop-up Dracula figure.